A CV is your one shot at marketing and promoting yourself. You only get one chance to make a first impression. It enables you to demonstrate how your skills match the needs of the business or team. Related to this, it is a way to show how you will add value, enhance and make their business prosper. It is the chance to get your foot in the door and get that all important interview. The CV allows you to describe with tangible evidence, what you can do for their organisation. In short, it permits you to communicate quickly and clearly why you are right for their job. Note: The term CV is regularly used here. It is also commonly alternatively known as the Resume. For our purposes the document described here is exactly the same. Match your expertise, experience and evidence to the job advert. Carefully read the advert noting the words and phrases used, before tailoring your CV with comparable information. Always consider your CV from the recruiter’s point of view. Ideally they’ll be looking for one that most accurately matches the job application; one that can add the most value to their organisation. Bearing this in mind, don’t be tempted to send out the same CV to a range of jobs. By tailoring you’re dramatically increasing your chances of making it to the shortlist. After all, there is little point in sending out a standard CV to save time, only to be repeatedly rejected, therefore wasting your time. Go further. Research the company, rather than just reviewing the advert. Review their website to find other details about them you can match your CV experiences to. For example their client, customer or supply-base may involve businesses or people you are familiar with. Your network may compliment theirs. Alternatively their corporate sport or team activities may potentially match some of the details in the ‘Interests’ section of your CV. 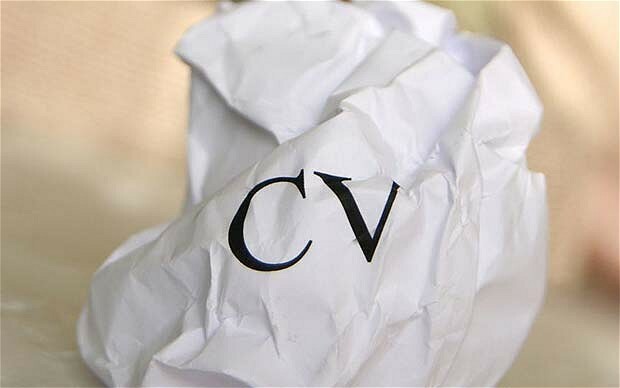 Tailoring your CV may take time and effort, particularly for multiple applications. But it is well worth it. Consider it a wise investment that pays dividends. What better way to use your time? Go that extra mile, beyond that of your competitors. If you were in your recruiter’s shoes, wouldn’t that be what would impress you? Tailoring your CV does require you to keep accurate records of who you have sent applications too. You may want to name the file appropriately when saving it. The exception to tailoring your CV is when you are uploading it to a technical recruitment agency. Clearly the CV can be seen and accessed by a wide range of potential recruiters. As such, obviously a generic CV is what you actually need. This is an obvious one, yet it’s surprising how many job seekers don’t pay heed to it. When discussing your achievements in previous roles it is critical to provide tangible, concrete evidence. Don’t just use bland statements – CV clichés. Employers hate them and see them far to often. Clichés like ‘good team player’ or ‘excellent communicator’. This is a sure fire way of your CV ending up in the ‘for recycling’ pile. Highlight your key accomplishments with quantifiable results to demonstrate your performance. Provide hard evidence of your proven abilities stressing the impact you have made. Use figures and percentages to describe improvements or savings. What % difference did you make over how many months – for example? Be imaginative, descriptive and specific, making clear what your strengths and contributions have been. Importantly quantify the outcomes of projects you have been involved in. If possible always try to state your individual contribution. This all requires a bit of thought. But it’s this detail that will make you stand out from the ‘me too’ CVs. This is very important to many employers. They know what sort of people they want to employ. They want those with the attributes to fit into their business and help improve and grow it. If you possess the outlook and mind-set employers seek, you greatly increase the possibility of making it to interview – separate from technical skills. The clever part is weaving preferred ways of thinking and a positive approach to life and work, into your CV. James Reed (Reed Recruitment Company) advocates 3 broad areas in his book ‘Put Your Mind-set to Work’. Global: Peoples’ openness to new ideas and experiences. Considerations and opportunities outside your normal area of work. Make connections and network to make things happen. Grit: Determination, tenacity and resilience to succeed. Commitment and responsibility to see things through. Good: Integrity and ethics so your performance positively impacts others as well as yourself. Respect and humility expressed through behaviour and your values. Research has shown most employers would prefer to recruit somebody who possessed the right mind set, yet did not have the complete skill set; rather than someone who had all the skills but lacked the correct attitude. Clearly the ideal candidate would have both. As such, this is something to aspire to. When writing an engineering CV, be sure to include accurate contact information, a professional summary outlining any certifications, a list of past related jobs and job descriptions for each past job. Complete a thorough CV for an engineering job, making sure to include important industry certifications, with help from an experienced career coach in this free video on resume writing. Next... CV Structure: What Sections and Why?